If you love cabbage, then you have probably been wondering how to grow cabbage in your own container garden. The good news is that cabbage does very well in containers. This low-calorie vegetable is a good source of vitamin C and riboflavin. You will need a fairly large container, especially if you would like to include other vegetables in the pot. Cabbage grows very nicely alongside celery, onions, potatoes and peas. As well as with herbs like dill, mint, rosemary and thyme. Cabbage has been a staple vegetable for bout ten thousand years. It originated as a weedy sea kale found in the Mediterranean, and was gradually domesticated into its current shape. There are all sorts of ways to use cabbage – raw and shredded into a crispy slaw, blanched and rolled into cabbage rolls, or added to soups and stews. For a longer shelf life, you can ferment it into sauerkraut or kimchi. See our related article on How to Grow Brussel Sprouts! Cabbage seeds will germinate in less than a week, so there is no need to start with seedlings. Plant the seeds indoors in April, and in about a month they are ready for your outdoor containers. 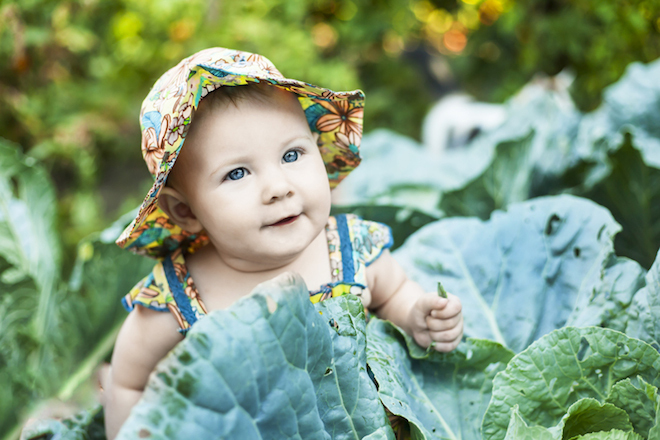 Choose the type of cabbage you want to plant – regular green, red, Savoy or Chinese. There are also mini varieties that grow to about the size of a softball, perfect for a container garden. Many people plant container gardens because of space, but there also those who just love miniatures – anything mini. Just about every vegetable comes in a mini version that these types of people absolutely adore. Select a container that is fairly deep. Cabbage roots need at least one foot of soil to grow. Deep window boxes or half barrels are excellent choices. Just make sure there are adequate drainage holes at the bottom. Fill your container with a mixture of potting soil and compost. You can plant extra seeds, in case some don't take, and thin out your crop later, or plant seedlings. Give each plant enough room to grow. When planting minis, you might be able to plant a few more than if planting the regular size. Space them according to the variety as noted on the seed package or seedling instructions. How to grow cabbage? Avoid full shade. Place your containers where the plants will get part shade to full sun. Always keep the soil moist, but not soggy. All vegetables need plenty of water. 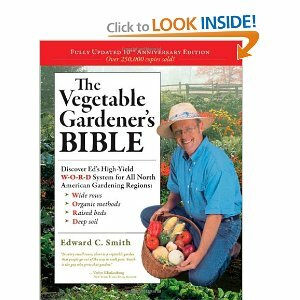 This is very important for container grown vegetables because containers don't hold moisture as well as ground gardens. If you forget to water, and the soil dries out, you may be tempted to over water to get the moisture level up. This causes stress on the cabbage and the heads may split. Split heads don't taste nearly as good. Also feed the plants about once a week with water-soluble vegetable fertilizer containing boron, calcium and magnesium, or an organic fertilizer such as fish emulsion or compost extracts. Cabbage attracts a lot of pests when grown in a ground garden. Luckily, container grown vegetables aren't plagued be pests or disease nearly as much. If you started with fresh, clean potting soil and high quality compost, you shouldn't have any ground diseases at all. However, you may see some flying pests that like to lay their eggs on the cabbage leaves. If there are too many, and you start to see holes or unusual piles on the leaves, remove the piles gently and cover the plant with a very light mesh. A old lace curtain works well. It will let in enough sunlight, and still keep the butterflies from damaging your cabbage. Holes in your cabbage leaves? Growing Chinese cabbage is not much different from growing other varieties. You just need to choose the right seeds. Treating your Chinese cabbage with the proper amount of water and fertilizer should yield excellent results. Here are some good starter Chinese cabbage seeds. Your cabbage is ready when the leaves have closed up tight and the head is solid. Cabbage should be harvested as soon as it's ready. If you leave it too long the wrapper leaves will begin to yellow and get all blotchy, and the cabbage will not last as long in storage. With a sharp knife, cut the head off at the base, leaving about three wrapper leaves on to protect the head from bruising. Early season cabbage can be kept in the vegetable crisper for several weeks. Mid to late-season varieties will keep for several months. One of the most popular and healthy ways to preserve cabbage is fermentation – slicing it up and putting it into jars. Sauerkraut or kimchi, depending on the spices and other ingredients you add, preserves the vitamin C in the cabbage and produces a delicious probiotic that goes with a variety of meals and is great for digestion. Properly prepared sauerkraut or kimchi will last for many years. That's all you need to know about how to grow cabbage. Pretty simple, right? Here's one we made from the recipe book! Mmm, who says cabbage isn't delicious?